Quite rightly, the town of Nailsworth hit the headlines in May when it became the smallest settlement to ever host a Football League team. Forest Green Rovers, thanks to the backing of Dale Vince, beat Tranmere Rovers at Wembley in the National League Play-Off Final and had reached the promised land that they had coveted for several years. 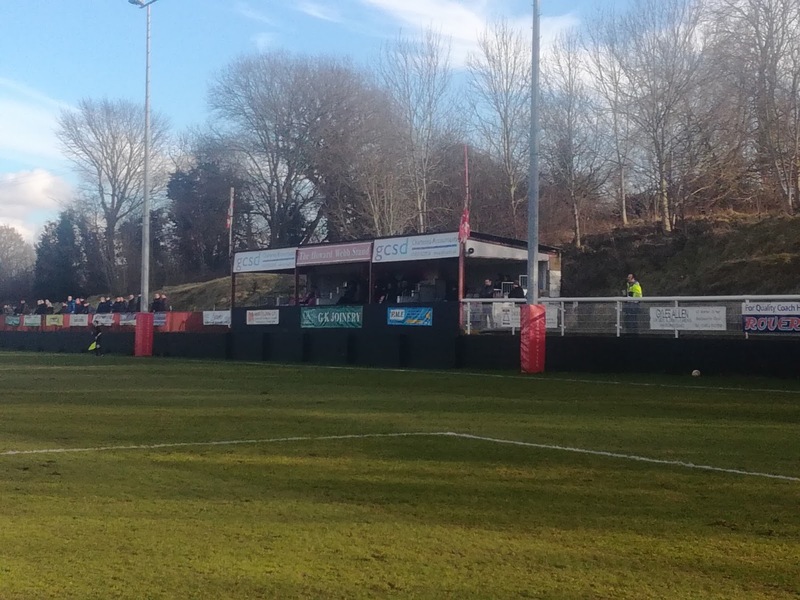 Something in the region of 6,000 people live in the Gloucestershire town that sits just outside of Stroud, so for it to support a Football League side is nigh on incredible, and with crowds averaging around the 2,500 mark, that’s one hell of a percentage of locals who make the steep journey up Nympsfield Road to the New Lawn Stadium. 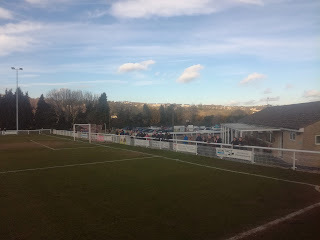 Of course, Rovers support stretches considerably further than Nailsworth, it has to, with the residents of Stroud perhaps making up a good number of them. The local outlying villages are also no doubt Rovers hotbeds, but there is one village just to the South of Nailsworth, which stretches high up a hillside, and that is Shortwood. I would hazard a guess that Shortwood is home to a few hundred people at best, and a very nice place it is too. As you drive through the pretty centre of Nailsworth, you climb up a hill into the village where the views down into the valley, and over to the hill where Forest Green Rovers play are quite stunning. If you keep climbing, and then take a turn down a track, you eventually come to a dead end, and at this dead end you find the Meadowbank Ground, the home of Shortwood United Football Club. 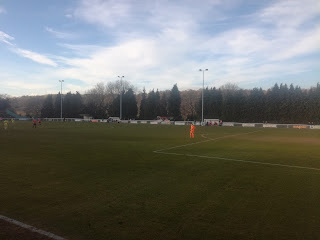 Shortwood United compete in the First Division of the Southern League, along with clubs like Taunton Town, Salisbury, Bideford and Evesham United. The fact they are competing at this level of football is almost as big an achievement as Rovers playing in the Football League. Hellenic League regulars since 1982 when they joined from the Gloucestershire County League, they had mixed success, winning the title in 1985 and 1992, while in the late 2000’s they finished runners-up on three occasions, the final time being enough to see them make it to the Southern League where they remain. The New Lawn Is Over That Way - Somewhere! In five seasons they’ve always finished above halfway with a best place of sixth, but, in 2013-14 they hit the headlines when an FA Cup run saw them win a Fourth Qualifying Round Replay at Aldershot Town, setting up a home game with Port Vale in the First Round. BT Sport broadcast the game live, and on a magical and memorable night it was the Valiants who won 4-0, but for Shortwood, this was their Cup Final. I’ve had my eye on them for a couple of seasons now, and with a significant improvement in the weather since the middle of the week, we had no such problems on Saturday morning and it was a rare trip to the West. Exiting the M5 at Stonehouse, the journey takes you via Stroud to Nailsworth and then as I’ve mentioned, up the hill to Shortwood. It took a few minutes over two hours to make the journey, but to be honest, if it hadn’t been for the sign pointing visitors to the ground, it could easily have taken a bit longer. If ever a final few hundred yards to football ground could ever feel like you are not on the way to a football ground, then this would be it! First impressions were of a friendly, family club. A homely clubhouse did the job pre-match, complete with wi-fi and downloadable programmes, while the tea bar / summer house did some very tasty looking fodder. I went for the cheesy chips. The ground itself is quite basic, but in terms of location it’s a stunner. The main stand sits the half way line, but raised considerably from pitch level as is all of that side of the ground. 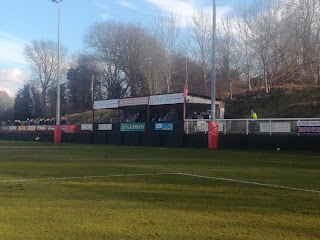 Both ends are open with hard standing, while opposite the main stand are the dug outs and two small Atcost’s, one standing, one seated. 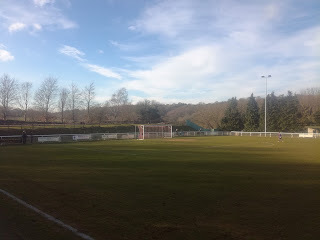 Standing at the side of the main stand, the views across the valley into Nailsworth are beautiful, and I’m told when Forest Green Rovers are at home, you can hear the noise of the crowd. The two grounds sit on hills that are effectively either side of the valley. I was a happy lad, but what was the game going to offer. Shortwood sat just below half way in the league while Yate, from the North of Bristol, were slightly higher up the table. The first half was a relatively scrappy affair, and chances were at a premium although Yate did have a goal disallowed. If anything Yate looked the most likely to break the deadlock but with five minutes left with what was Shortwood’s first serious attempt on goal, Will Hawes turned and slotted home from eight yards. The second half was all Yate and on two occasions they hit the woodwork. Goalkeeper Harvey Rivers went forward at every opportunity as the game entered its final moments, and then just when Shortwood thought they’d hung on long enough, Ben Brooks slammed home a half volley four minutes into injury time. The game restarted and within seconds the final whistle blew. 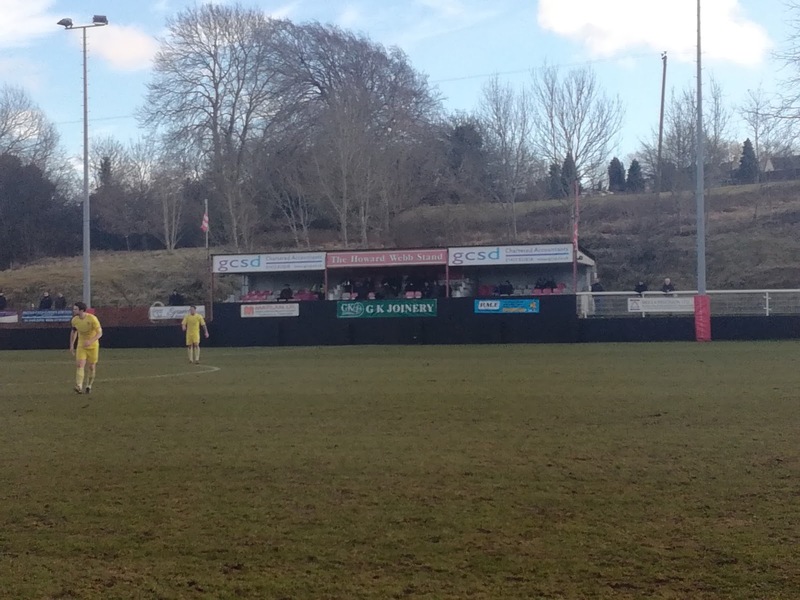 A point was the least Yate deserved on the day. 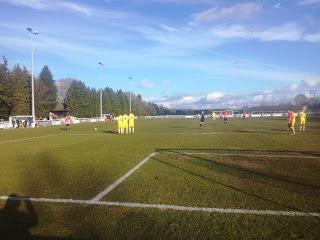 As the crowd of just over a hundred meandered back down the hill from whence they came, some stopping in the village, others maybe moving further down into Nailsworth, news came through that Forest Green Rovers had earned another point towards Football League safety at Morecambe. 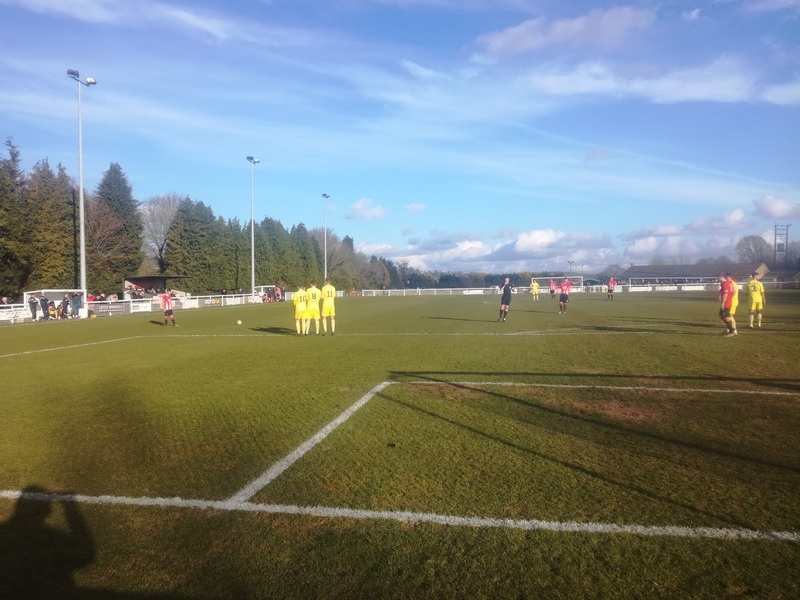 Nailsworth continues to defy the odds, and indeed the demographics, this is a story that shows no sign of ending, and Shortwood United are more than just a sub-plot in that.